Ron is a multidisciplinary manager with extensive experience in IT, Finance, Sales, Marketing and Civil Engineering. 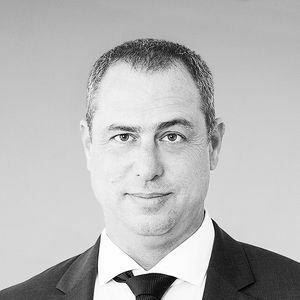 He joined IRC Israel (Hunter Executive Placement) in order to give an exceptional service both to candidates and employers, using his professional business background to thoroughly understand the employer's positions and requirements, and the candidate's true abilities. Ron and his team are very focussed on the client and candidate experience, ensuring a high quality outcome. Ron holds an MBA in Finance & IT from Tel Aviv University.